I just took photos of a two year old birthday party indoors at a Chucky Cheese. Just bought the Puffer for my flash, as the photography studio said it would be good for the birthday party. I tried taking photos in both portrait and action scene modes since kids are moving so fast, but when I did the action mode they came out a little yellowish and not sharp. I need to know what settings I should be using instead. A, S, P, or M mode, and what ISO and f-stop. I own a I own a Nikon D3000 and I'm using a Tamron 28-75mm f/2.8 lens. A pop-up flash has barely enough power to work indoors of a residential space; in larger rooms, professional photographers have practical reasons why they carry separate large flashguns. The Puffer, whilst making the light slightly less harsh and therefore more pleasing, does it so at the expense of chewing the power even further down. The reason you're getting yellowish tones is that the light coming from your flash has different tone (matched with sunlight) than the "warm" lighting used indoors, and your camera assumes flash being the "correct" tone. You could tell the camera to use white balance matching the indoors lighting ("incandescent"), but then areas lit by flash would seem bluish. The real solution here would be to adjust the light of flash to match the ambient lighting by inserting an appropriately colored transparency in front of it (this is called "gelling"). CTO (or CTS) gels are the basic accessories for indoors flash photography. Most Chuck E. Cheese locations that I've been in have generic white ceiling tiles. If that is the case at the location in your town, I would try bouncing the flash off of the ceiling with an external flash rather than using a Puffer. Although the cost is a bit more, the results will be that much better. You can get a Yongnuo YN-468 II i-TTL that is compatible with Nikon's i-TTL system for about $100. That's a lot cheaper than an SB-700 at around $325. The SB-700 is about 50% more powerful than the YN-468. The SB-400 for around $120 has about the same power as the YN-468 II but none of the manual options. All three allow you to tilt the head up to bounce on the ceiling, but the SB-400 does not allow the head to rotate like the other two which limits the SB-400's use of bounce to landscape mode when mounted on the camera. With an i-TTL compatible flash, you won't have to reset the power level every time the subject distance changes. The camera will compute the necessary flash power and adjust it for each shot. I would recommend shooting in A mode and start at around f/4 at ISO 400. If that gives shutter speeds too slow for the children's movements, change to S mode and set the shutter speed at your camera's sync speed of 1/200 sec. If the flash still doesn't give you enough power, either adjust the ISO up until it does or move closer to your subjects. The best use of a pop-up flash is to not use it. Even if you can get the settings right, and are close enough for their limited power to provide sufficient light, the light is unflattering. Using the pop-up flash makes all photos look like mugshots from the Department of Motor Vehicles. Your built in camera flash has its own power, which is sometimes quite enough to get good picture indoors. But, you put puffer on it, so you decreased light source power. If your subjects were too far from you, the power of light was too small, so you had to decrease your shutter speed, to get right picture. Because you decreased your shutter speed, you had blurred persons on your picture. So my suggestion is, move up little closer to your subjects if you use puffer, and keep your shutter speed at 1/200 or 1/120 of the second. This way, your subjects are going to be frozen, and you will get sharp image. 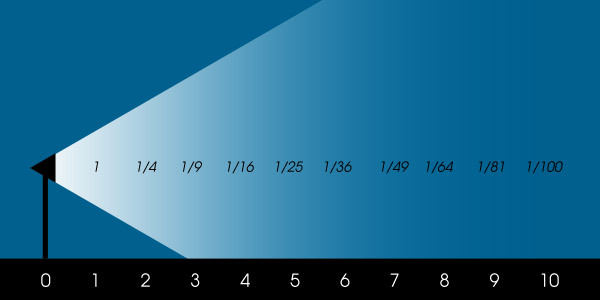 If this don't help, you should think about buying external flash. Not the answer you're looking for? Browse other questions tagged flash camera-settings popup-flash indoor children or ask your own question. How to use pop-flash for a night shot in manual mode? Is it worth to buy a pop up flash difuser?